OUT NOW! A surreal novella that will have you question the very foundation of your reality. Once again, Louise Blackwick wrote 24 wonderful stories, for Vivian Amberville's 2018 Advent Calendar. Check them here every day! A bestselling YA fantasy story about a girl whose thoughts can reshape reality. A surreal novella that will have you question the very foundation of your reality. Based on a modern interpretation of Jungian psychology, The Underworld Rhapsody is heavily themed on "subjective reality", "altered states of consciousness", and "individuation" as it follows one man's struggle to escape the chaos of his life and regain his free will. Meet Vivian Amberville - a traveller between realities with the power to reshape events. 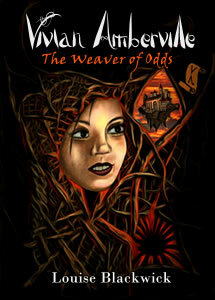 First in a series of five books, "The Weaver of Odds" introduces 13-year old Vivian to her unique if hazardous power of altering odds, outcomes and the very substance of reality. 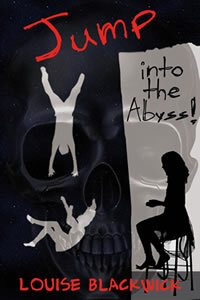 Written in the grim and melodious style of Edgar Allan Poe, "Jump into the Abyss!" 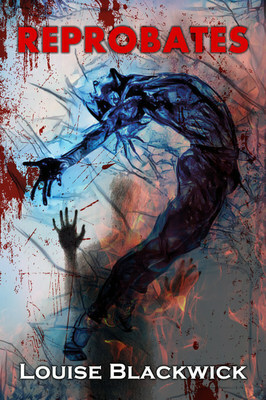 follows Chase Chaperone's descent into the Abyss of his soul. This Halloween special edition explores themes such as "death", "justice" and "absolution", in a forlorn world set outside the reach of modern civilisation. “Reprobates” is an exquisitely written narrative of Life after Life, centred on Marc Whitehouse’s journey through Limbo. Its style is heavy on allegory, at every step teeming with Underworld intrusions of the sacred into the profane. Set in a world where humans are long extinct, 4 unlikely robots will embark on a journey to answer: Why have the humans created us? 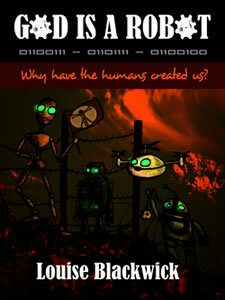 An original post-apocalyptic story with an all-robot-cast, where the very meaning of "life" and "existence" is put to question. Louise Blackwick is a Dutch jungian-nietzschean writer, author of many thought-provoking stories themed on "surrealism", "subjective reality" and "states of altered consciousness". She is one of the few international authors to truly belong to the "philosophical fantasy" genre. Blackwick is particularly known as the writer of the bestseller "Vivian Amberville", a philosophical fantasy saga that follows the adventures of an orphan from Milton Keynes - England, who learns her imagination can actively reshape the fabric of reality. Blackwick primarily considers herself a "novelist", although the erudite complexity of her work has been appraised to exceed the fiction arena. She is a long-term pupil of the psychoanalyst Carl Jung, her writing digging deep roots into jungian concepts like: "individuation", "synchronicity", "archetypes", "shadow-work" and "the collective unconscious". For philosophical views, she draws inspiration from the giants of old - among which Nietzsche, Wagner, Goethe and Schopenhauer may hold the most resemblance. Blackwick's strong evocative style and widely provocative ideas carry that "instant classic vibe", underneath which one often uncovers layers upon layers of meaning. For short fiction, Blackwick attributes her greatest influence to the father of surrealism André Breton, the twisted storyteller Edgar A.Poe and the existentialist Kafka. At times, she unweaves the general conventions of space and of time, bending them at odd angles into a mesmerizing and surreal dream construct. For epic large-scale fiction, Blackwick greatly looks up to the legendary Tolkien and C. S. Lewis. 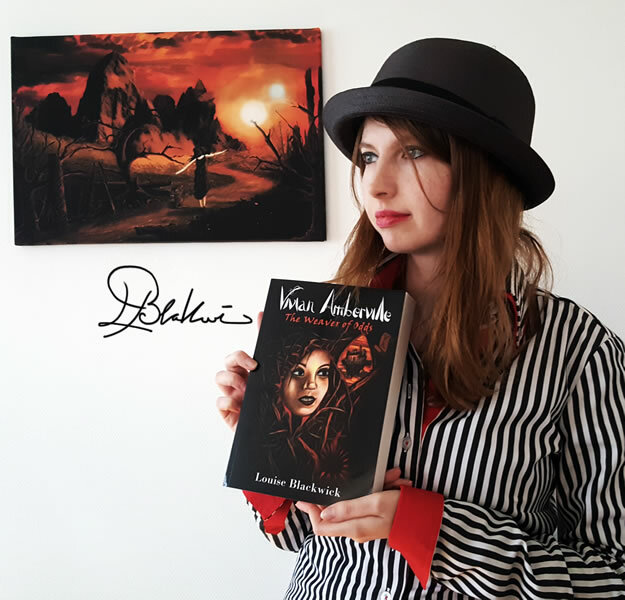 "Vivian Amberville - The Weaver of Odds", the first novel in a series of five was released in 2017 and was received with critical acclaim by a score of metacritics, most of whom have compared her narrative style with C. Paolini, J.K. Rowling and E.R. Eddison. Upcoming books include: the science fiction novel "God is a Robot" and the much-awaited sequel "Vivian Amberville - The Book of Chaos". We strive to satisfy our readers all across the world. However, shipment costs for orders may differ from country to country. Change your country here.